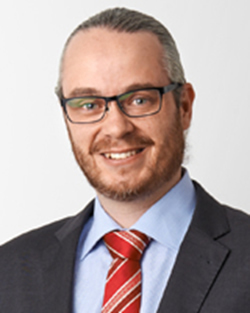 Matthew has a Bachelor of Economics (Hons), Master of Philosophy (Marketing) and Doctor of Philosophy (Economics) from the University of Sydney. His research is predominantly in the area of human decision making and discrete choice modelling. In particular, he is interested in how groups of people make decisions and the role of influence and negotiation therein. He is one of the leading educators in the Business School at the University of Sydney, having been nominated numerous times for teaching awards across a wide variety of subjects; from statistics to project management and governance to infrastructure finance. He was Program Director for the Master of Transport Management degree for 3 years and is currently leading the development of an undergraduate curriculum in transport and logistics. Outside of academia Matthew is a successful consultant working in the finance, health, media and fast moving consumer goods sectors. Stephen is an experienced social researcher with interests in applied ethics, consumer psychology, data analysis, public health, research, social marketing. Stephen’s research interests are focused on the marketing of food, drugs, and alcohol. Currently examining the empirical factors that encourage reduced consumption. Also exploring the complex & "wicked" nature of food consumption problems, the ethics of social marketing/public health interventions, and the ways to encourage, enable & empower consumer choice & responsibility. Stephen has completed commercial research projects for a wide range of clients (e.g., alcohol abuse, Aboriginal development, banking, pharmaceuticals, quit smoking, telecommunications, etc). Stephen is currently an Honorary Adjunct Professor, Macquarie Graduate School of Management.